Hello friends! 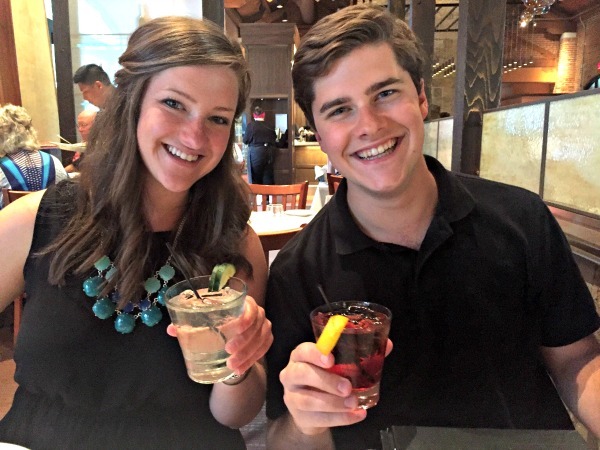 I didn’t intend to take the summer off from blogging, but here it is closing in on the end of August already. I kept waiting until I found the time and motivation to take some good photos and organize some interesting posts, but you know how that goes. So instead I pulled some photos off my iPhone and here I am. 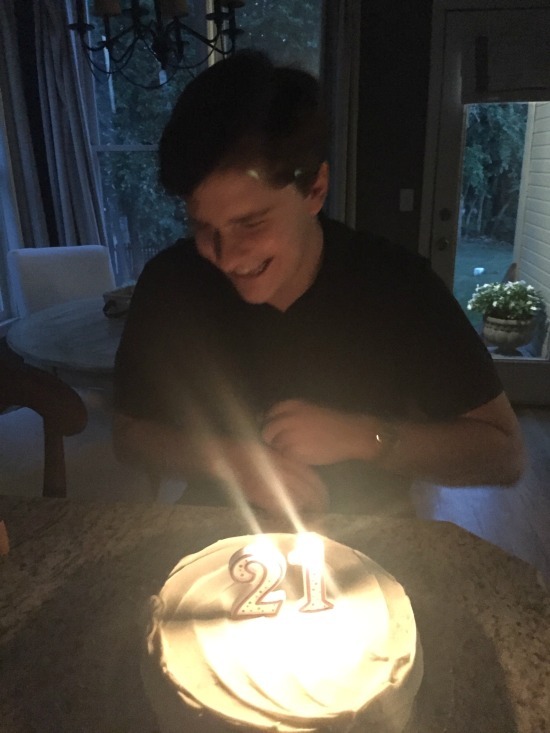 On the family front, this one turned 21. How is that possible? This kid with the summer birthday loves that Christmas staple, red velvet cake, so that’s what we had. 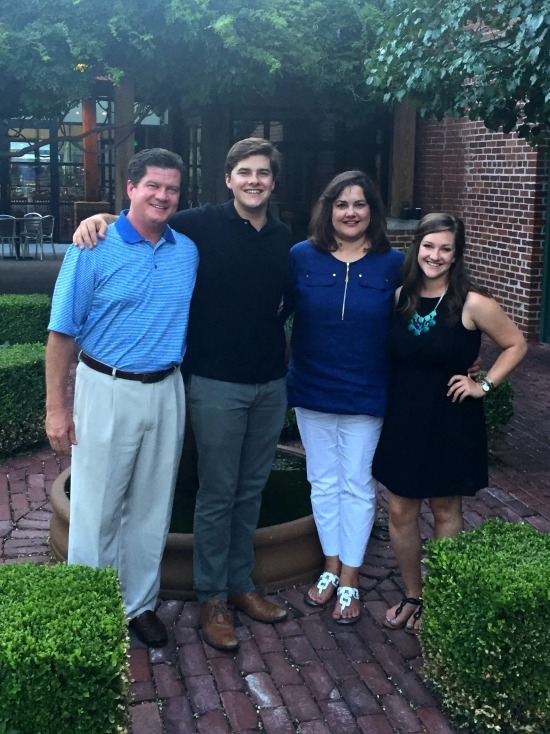 We also celebrated with a family dinner out at Lidia’s in Kansas City. 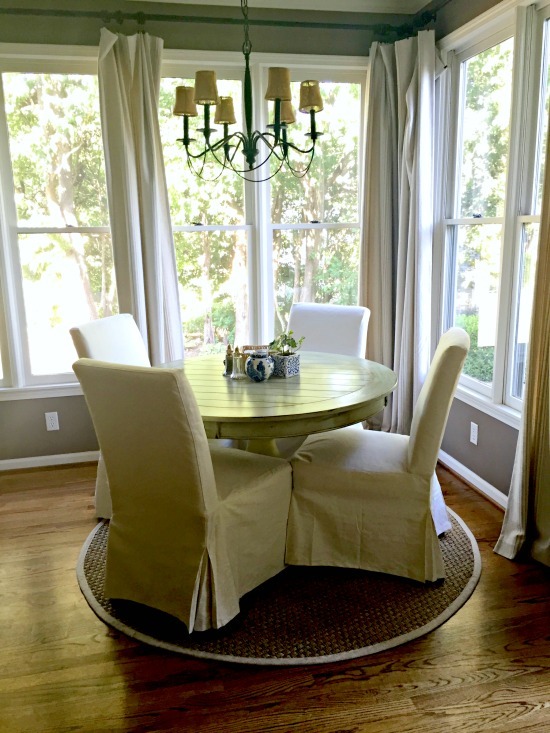 On the home front, I made a few changes to the kitchen, starting with this pedestal table I found at an antique mall. My plan was to paint it, but so many people who saw it liked the green color, that I’ve left it. I brought the round sea grass rug down from the office to use here and bought the slipcovered parsons chairs at Ikea. The skirts on those slipcovers are begging to be ironed, but I can’t seem to find that motivation either. 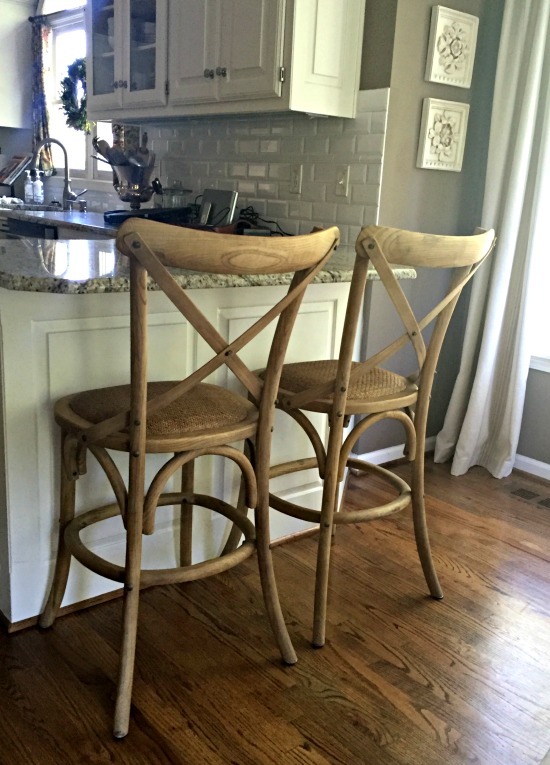 I’ve been wanting some x-back barstools like these forever, and since practically everyone has a version of them, I didn’t think I’d have trouble finding some I’d like. But sometimes the easiest things turn out to be the hardest and I swear at some point I considered every version ever made. 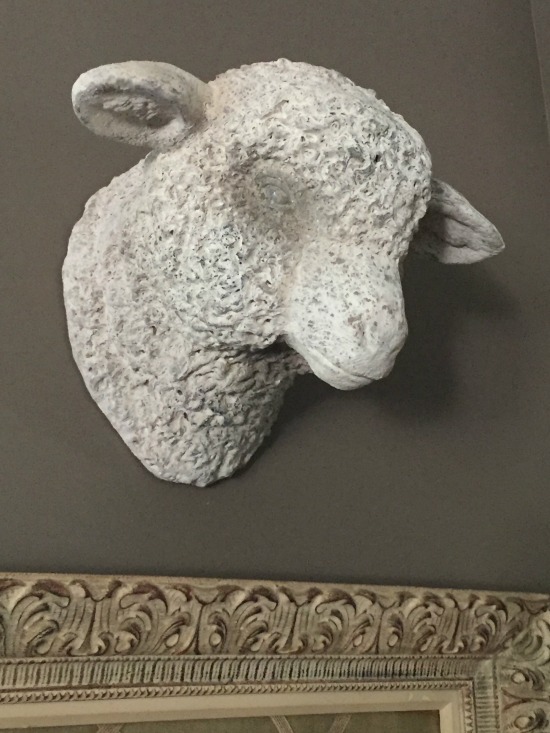 I finally settled on these from Arhaus. Very controversial at our house. My son is a little freaked out by him, but I love him. I see him getting a wreath around his neck at Christmas. I added a couple of blue and white pieces to my Florida find and I’m liking them as a grouping on my dining room table. I’m on the lookout for a couple of more that will work in size and shape. Moving outside, I asked for window boxes for Mother’s Day. One for this window into the garage and another for the window over the kitchen sink. Loving them. 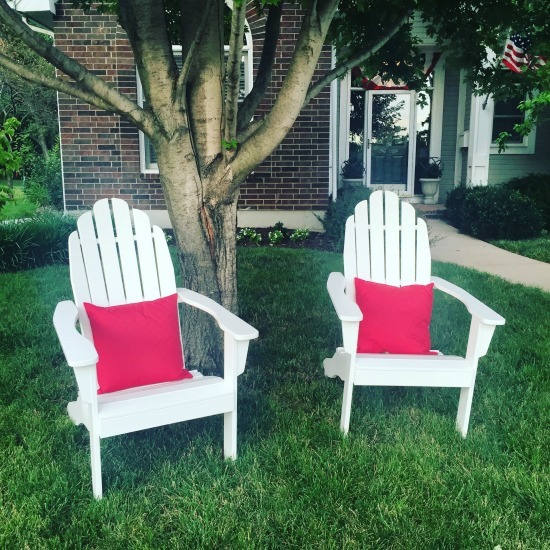 And I picked up two Adirondack chairs during an end of the season sale and put them in our front yard under a tree. They make me smile every time I pull up to the house. I hope your summer has been a good one, full of all the things that make you happy. Love the table find! What antique mall is a good one in the KC metro area? I’ll be up that way soon. 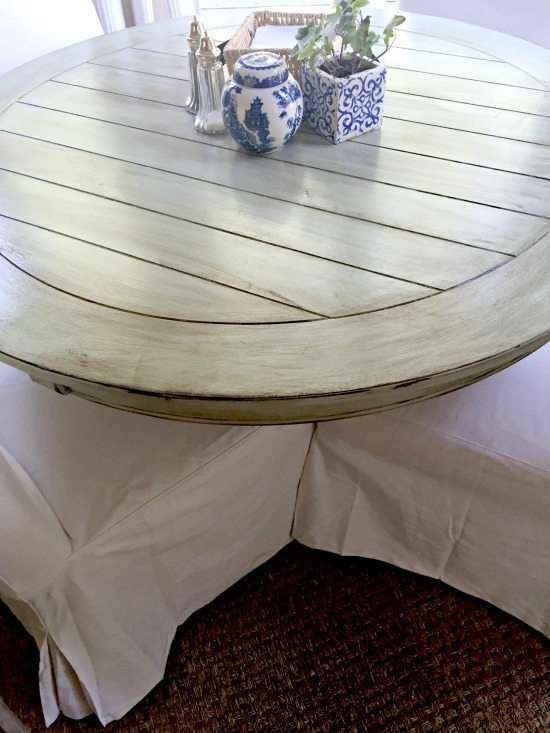 Also…don’t iron those chair slipcovers….use a steamer! Will save you lots of time and heartache ironing! Everything looks so pretty. Nanci, my favorite antique mall is Mission Road Antique Mall at 83rd and Mission Road in Prairie Village. And a steamer is a great idea! I’ve always wanted one. Maybe I’ll use this excuse to buy one. Always enjoy your posts Julie. Just love all your finds, especially the x-back barstools and your “little guy”. 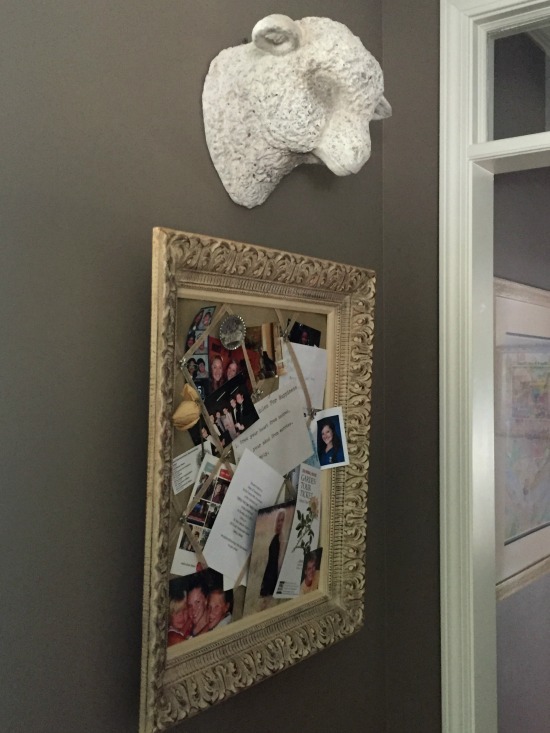 I had to laugh when you said your son freaks about him-I have a pig head hanging on a back entry wall and when my son visits, he says it’s creepy! I hang a wreath around him at Christmas and sometimes put a Santa cap on him. Sounds like your son had a wonderful Happy 21. Enjoy your fall-it’s coming!!! Welcome back, Julie!! First of all, your kids are so darn cute that they could be on a magazine. 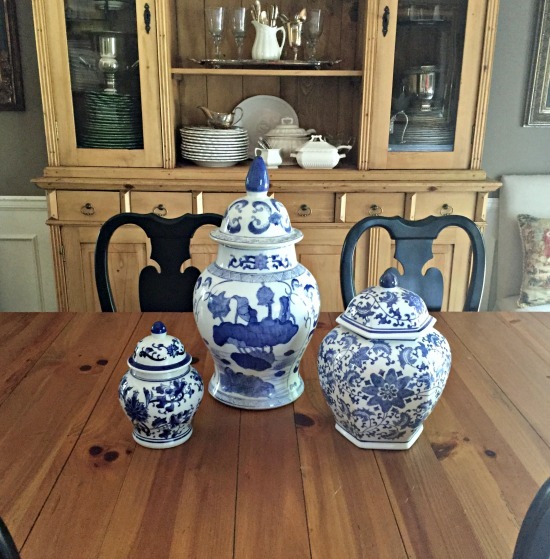 Love your new table and your added blue and white pieces. 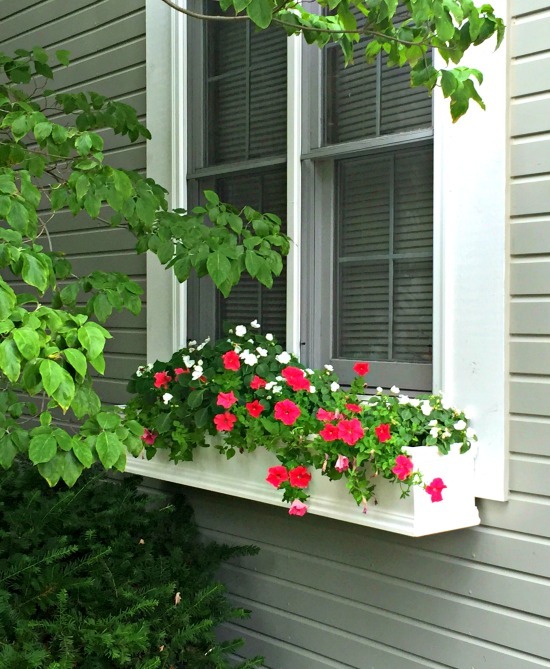 Love your window box. Have a great week!! Thank you, Katie! And thanks for stopping by. Good to hear from you again, Julie! I so enjoyed all the great pix. Such a gorgeous family! Hi Jillian. Love the fall wreath idea. Nice to hear from you!